Updated Wednesday August 29, 2018 by Macomb Township Little League Baseball. WE WANT YOU TO PLAY! No one likes rainouts. If the field conditions are playable and safe from flooding and lighting we will not cancel any games due to rain, sleet, snow, wind, excessive heat, or anything else besides lighting and flooding. Cancelling the games causes more issues down the road such as Sunday games, 3 games a week, financial loss, and possibly playing past July 4th. Dress appropriately for the weather. Being an all volunteer League we do not employ a grounds crew. The coaches should help prep the field when needed by brooming off any puddles and not digging trenches which may cause kids to be injured. Below is an outline of how the communication works. Macomb Corners is run by the Macomb Parks and Recreation Department. They have control of these fields. 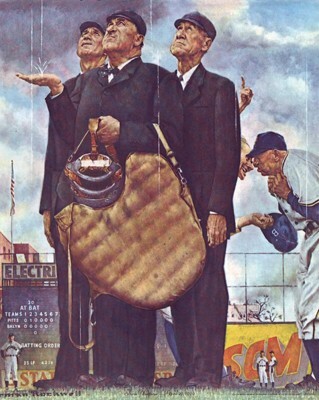 Please do not call any league officials about Rain Outs at any time. Macomb Corners handles the decisions about playable fields up until game time. There is a recording (586) 992-2909. This will be the quickest way to find out. Once Macomb Corners cancels we update our system and those of you signed up will receive text messages/emails. IF THE RECORDING IS NOT UPDATED it means the corners has not made a decision and we should go on as if the games will be played. Our local school fields - If MTLL officials deem conditions unplayable or unsafe those of you signed up will receive email/text messages. If you do not receive an email/text message then you should plan on playing the game. We can not predict when bad weather is going to happen and we all know that Michigan weather changes every 10 minutes, you should always plan on the game being played unless you receive an email/text message from the league. Again, we want you to play and as long as the field holds up and everything is safe we will not cancel any games, DRESS APPROPRIATELY. All rainouts will be made up on Sunday's for Spring Season (Friday's for Summer). We will give advance notice to all teams.